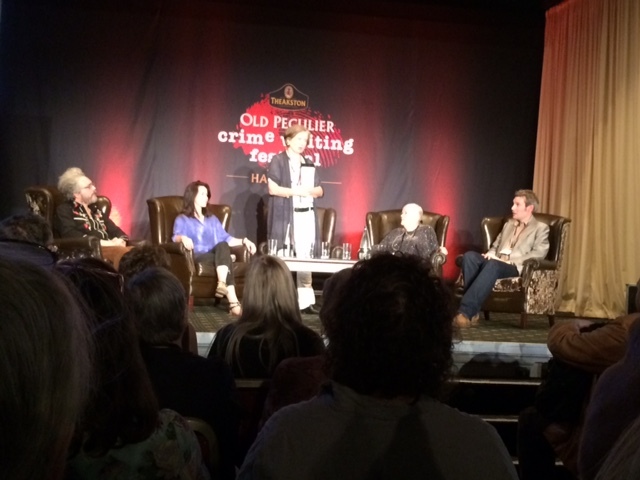 Going to the crime festival at Harrogate is a bit like entering another world – a world populated entirely by crime writers and crime readers. A perfect place for a crime fiction addict like me to hang out! On Friday I managed to make it to breakfast (just before the food was cleared away) and after a few strong coffees was ready to skip along to the Irish Noir panel. This lively event, with Steve Cavanagh, Stuart Neville, Brian McGilloway, Eoin McNamee and Adrian McKinty, saw the authors discussing why they’d chosen to set their books where they had (in Ireland or not, and in the far past, recent past or present), what their writing influences had been, how the troubles had shaped them as writers, the challenges of research – including the danger of being sucked down the rabbit hole by Google and Wikipedia – and many other topics. Then it was time for lunch and drinks on the lawn where I caught up with some of the wonderful Killer Women (pictured) Anya Lipska, Helen Giltrow, Louise Voss, and Helen Smith. 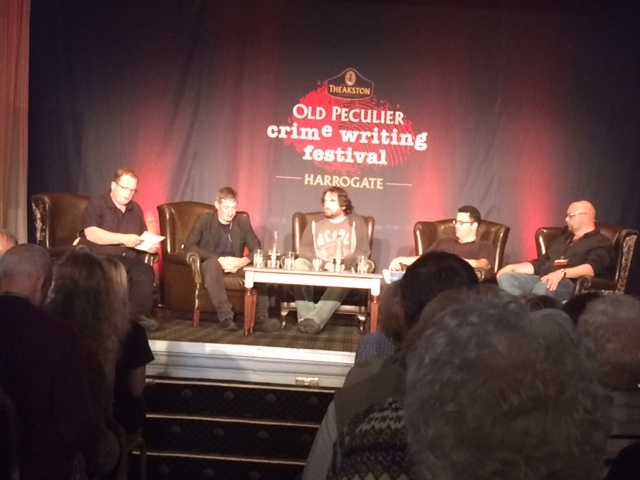 Then it was time for the Yorkshire Pride panel with moderator Nick Quantrill posing the questions to Lee Child, Steve Mosby, Frances Brody and Peter Robinson around the central topic of Yorkshire. Lee Child spoke of his fond memories buying sweets with his grandma in Harrogate, Steve Mosby spoke of creating a Leeds-like place to set his novels in, and Peter Robinson and Frances Brody spoke about the Yorkshire settings – both present and past – of their novels. 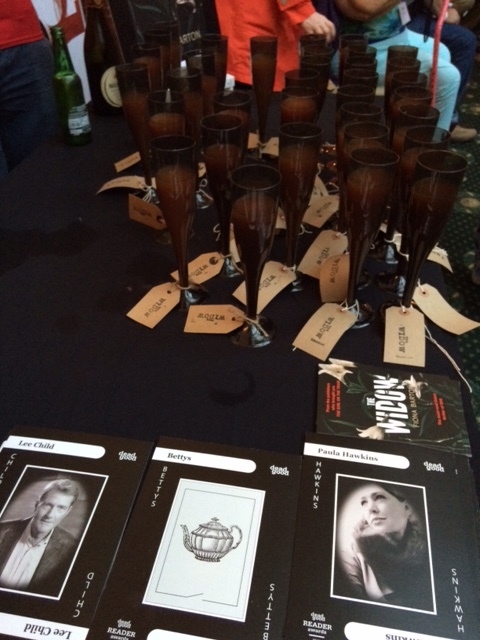 As soon as the panel ended it was a quick sprint along the corridor to the Dead Good Reader Awards – luckily not arriving too late for one of the special ‘The Widow’ themed cocktails (pictured) of blood orange and bubbly! And there was still much to come. The next event was Mark Billingham in conversation with Eddie Izzard. This session, to a packed out audience, was one of the major highlights of the festival. With great banter, packed full of anecdotes and laughs, they talked about some of the stranger venues they’d played on the comedy circuit, what it’s like to die on stage, how to deal with hecklers, through to the need to continuously challenge yourself, and how everyone can keep learning – even if they’re 90. The hour seemed to pass in a flash, and I for one could have continued to listen to them all night. The final session of the day (starting at 10pm) was The Black Art of Criticism panel with moderator N.J. Cooper posing the questions to panellists Jake Kerridge (the Telegraph’s book reviewer), and authors S.J. Parris, Stav Sherez and Ann Widdecombe. It was a playful panel who debated how they approached reviewing, and how they took being reviewed, with plenty of entertaining discussion. And so, at 11pm as the events of the day drew to a close, I headed to the bar – where I stayed until the early hours of the next morning. It really is! You’d love it. Say you’ll come in 2016 – pretty please! Definitely worth it. It’s heaven for crime readers! Sounds like you had a very good time,bad timing for me for the crime events,looking forward to seeing you at one of them very soon. It was wonderful (as ever). 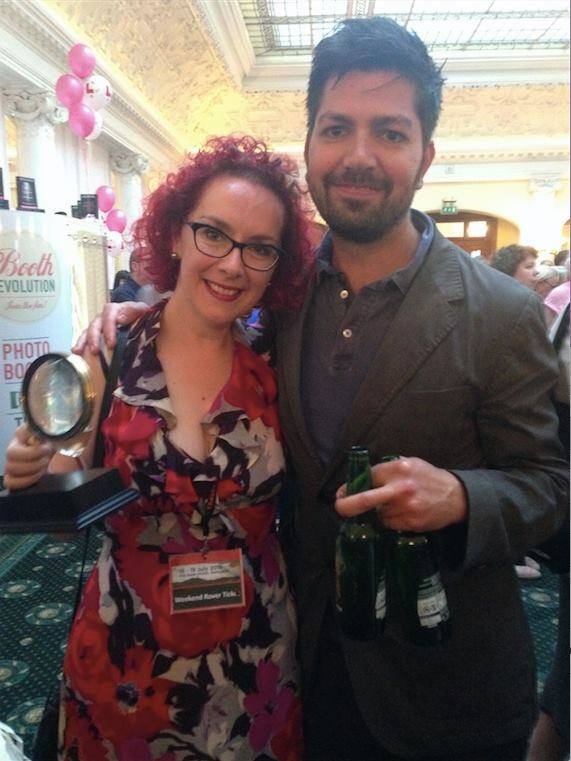 Would be awesome to meet up at a crime event soon! 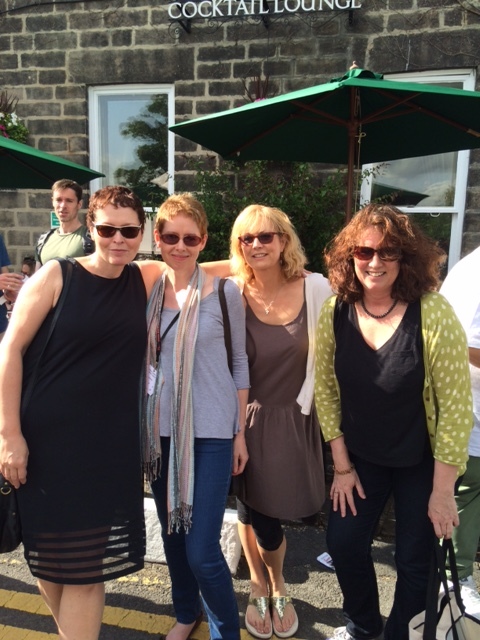 I’ve wanted to visit the Harrogate Crime Writing festival for ages. After reading this post, I’m definitely putting the next one in my schedule. I was there and it was a brilliant day – but I was on the low cost ‘staying in a budget B&B in Knaresborough’ version, so had to leave early. Thanks CTG for great account of what I missed. I’m saving my pennies to stay at the Old Swan Hotel next year.